A Mentor’s Wisdom: Lessons I Learned From Haddon Robinson, R. Larry Moyer. Peabody, MA: Hendrickson Publishers, 2018. Summary: Forty-five sayings of Haddon Robinson with reflections by one of the men he mentored. Haddon Robinson spent much of his life in one theological seminary or another, as a professor of homiletics (preaching), as President of Denver Seminary, and later as Interim President of Gordon-Conwell Theological Seminary. A hallmark of his work was a commitment to expository preaching of the Bible, careful application that arose from the text, and clarity of communication without distracting with stories and illustration. Many of us have used his book Biblical Preaching as a guide to expository preaching that honors Christ. He was also a senior editor of Christianity Today. Haddon Robinson died in 2017 at the age of 86. One of those for whom he was not only professor but also mentor was R. Layer Moyer, the founder and CEO of EvanTell. Robinson helped Moyer get his start, commending him to seminary alumni and serving on his board. This year, EvanTell celebrates its 45th anniversary, and Moyer had the idea of collecting 45 quotes from his mentor, both as a tribute and to commemorate the anniversary. This book is the result, consisting of 45 quotes under the headings of “Life Lessons,” “Work Counsel,” “Spiritual Advice,” “Public Speaking and Preaching,” “Leadership,” and “Evangelism.” Following each quote is a relevant scripture text and a brief reflection, averaging two pages, often giving the context in which the author first heard this statement from Robinson. This book, useful for devotional reflection, acquaints us with a scholar and teacher whose life was shared by that conviction. We get the chance to overhear wisdom about life and ministry and to see how that wisdom, under the grace of God formed a Christ-shaped, yet one-of-a-kind life. Church for the Fatherless, Mark E. Strong. Downers Grove: InterVarsity Press, 2012. Summary: Mark Strong chronicles both the crisis of fatherlessness in our society and the vital role the church can play in equipping fathers and caring for the fatherless. Perhaps the most stunning statistic in this book was that 24.7 million children live in a home without their biological fathers. Countless others are not included in these statistics, including those with “absentee” fathers who formally reside in their homes, and those who have reached adulthood and bear the wounds of growing up fatherless. The impacts of fatherlessness include inward pain, poverty due to the loss of the father’s financial support, teen pregnancies, which occur at a much greater rate in the absence of fathers, criminal activity, and lower educational attainments. Mark Strong details these impacts in the first part of his book and then calls the church to engage what he considers society’s most pressing problem. Strong speaks out of his experiences as senior pastor of LifeChange Christian Church in Portland, Oregon. He provides a straightforward account of what churches can do and calls on us to do it! He begins by discussing how churches can embed valuing the fatherless in their corporate life, even as the Old Testament scriptures did for the people of Israel. He calls for awareness, avenues of ministry, and awards for progress. He describes in the next chapter how their church has gotten the message out, including providing a template for a sermon series. One of the most important collections of insights can be found on the chapter on equipping men to be fathers. Strong develops a list of biblical values from Old and New Testaments and describes a curriculum built around these values. He does not stop there. He also considers the work of mentoring the fatherless, providing father substitutes for those who have grown up without fathers and his fourfold mentoring strategy of There-Share-Care-Prayer. He then goes into greater depth of the vital importance of prayer for the fatherless and provides a reproducible prayer guide. Then he reaches the pinnacle in a chapter on God the Father, who truly can address the father needs of the fatherless. In a chapter that follows, he recounts how the fatherless have experienced healing from the wounds of fatherlessness. He then concludes with a chapter on how to start. There is nothing fancy about this book. What you have is a pastor sharing his heart for the fatherless, and the ministries he has been involved with and the resources he has found helpful. Most compelling to me was the weaving of scripture and prayer throughout. It seems that anyone working with youth ministry could profit from reading this book. It also points up how critical intergenerational ministry in a church can be as men act as mentors to boys and young men who struggle with fatherlessness. This is a book that challenges churches to not just focus on strengthening the family but to be the family of God to those without fathers, to those who have no family. And it is a book of hope, telling the stories of the difference everyday faithfulness has made in the lives of the fatherless. This month’s reading began with the adventurous growth of global Christianity and ended with the struggle of an adventurous couple to live in the cutting edge while setting down roots in midwestern America. A couple of my books explored the follow of war–the illusion that World War I would be over before the leaves fell in autumn and the kind of frenzy of rhetoric and aroused passions that prevailed before the American Civil War. Back to back, I read a book for entering college students on academic faithfulness, and a guide to meaningful retirement. 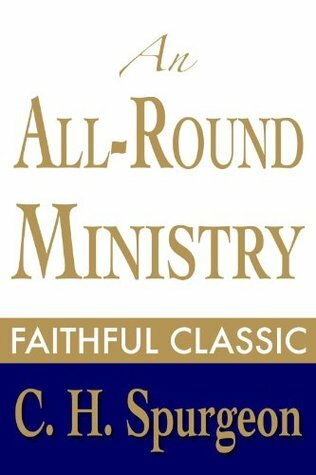 Mixed in this month was a book on mentoring, a collection of Charles Spurgeon sermons, and more! One of the more unusual was a gift from my wife–the story of a cattle rancher in the Great Plains that converted to buffalo ranching. I enjoyed it so much I immediately started reading the sequel. 1. 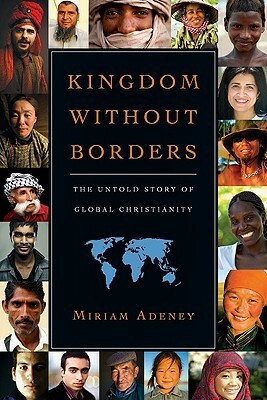 Kingdom Without Borders, Miriam Adeney. Adeney, a professor of global and urban ministries, chronicles the global spread of Christianity through stories of sacrificial and courageous Christians in the Majority World. 2. 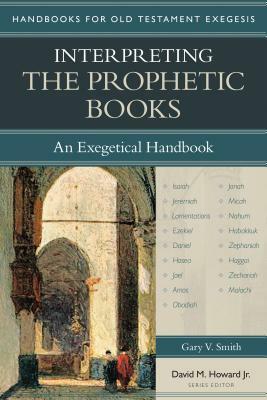 Interpreting the Prophetic Books: An Exegetical Handbook, Gary V. Smith. This is a concise guide for those preaching from Old Testament prophetic texts covering issues of genre, themes, interpretation, preaching, and contemporary application. 3. 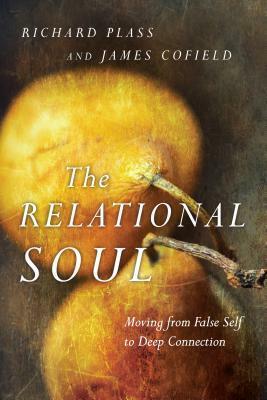 The Relational Soul, Richard Plass and James Cofield. Our relational capacity is essential to being human but often hindered by the false self that struggles with trust, but may be transformed through God’s gracious intervention, often through other people, that allows us to receive the gift of discovering our true self. 4. Home Before the Leaves Fall, Ian Senior. 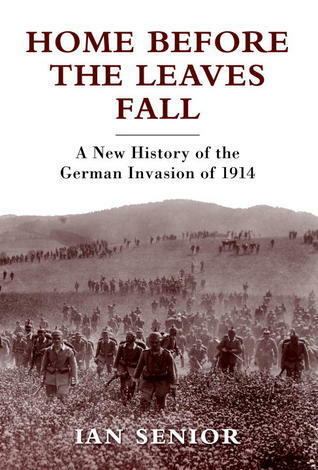 This is a new account of Germany’s invasion of France at the beginning of World War I, describing how it almost succeeded and why it ultimately ended in stalemate. 5. An All Around Ministry, Charles Haddon Spurgeon. A collection of messages given by Charles Haddon Spurgeon as President of the Preachers College during their annual conferences. 6. Launch Your Encore, Hans Finzel & Rick Hicks. 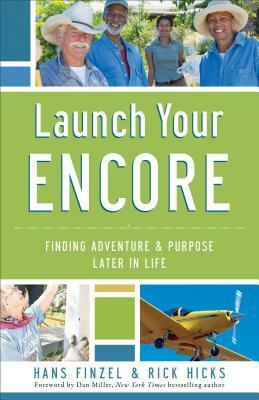 A guide to living purposefully from 60 onward, which many call “retirement” but the authors consider our “encore”. 7. Learning for the Love of God, Donald Opitz and Derek Melleby. Written for undergraduate college students who are Christians, this book explores the idea of academic faithfulness as an integral part of the student’s discipleship and how this is cultivated. 8. 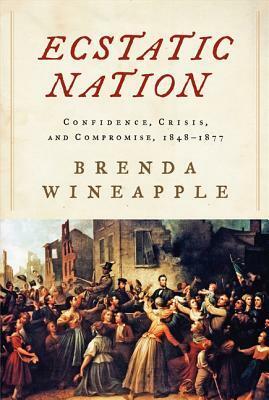 Ecstatic Nation, Brenda Wineapple. Ecstatic Nation explores the period of 1848-1877, and the heightened feelings and frenzy of a country contending over slavery, going to war with itself, and then engaging in the conflicts of westward expansion and Reconstruction. 9.Deep Mentoring, Randy D. Reese and Robert Loane. Deep Mentoring proposes that the development of Christian leaders of integrity is a lifelong, God-driven process that mentors play a crucial part in through attentiveness and focus on the spiritual and character formation of rising leaders. 10. 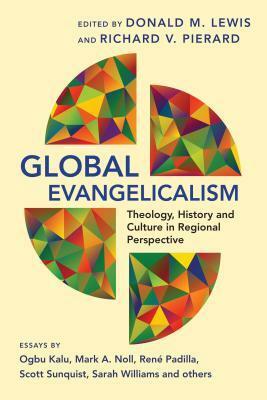 Global Evangelicalism, Donald M. Lewis and Richard V. Pierard, eds. This collection surveys the global growth of evangelicalism from historical and theological perspectives, including case studies of growth in each region of the world, and special concerns of ecumenism and gender issues. 11. Buffalo for the Broken Heart, Dan O’Brien. Part memoir, part nature-writing, this book describes the story of a cattle rancher who hits bottom, and makes the transition to herding buffalo for economic and ecological reasons. 12. 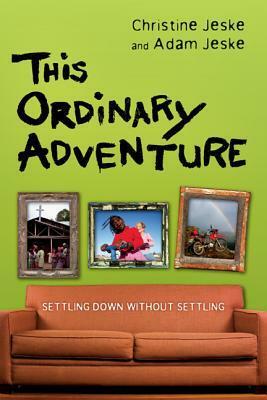 This Ordinary Adventure, Christine Jeske and Adam Jeske. The Jeskes describe what happens when their quest to live a life of “amazing days” meets up with the realities of returning to suburban America, parenting, regular work–and routine. 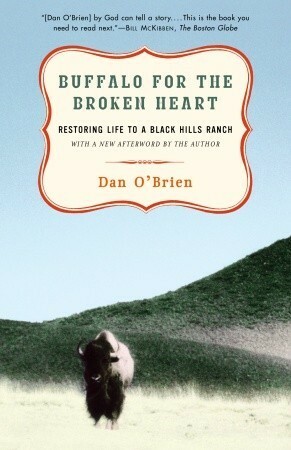 Best Book of the Month: Dan O’Brien’s Buffalo for the Broken Heart stood out as a spare but compelling account of ranching in the Great Plains, weaving ecological insight of the symbiotic relationship of buffalo, land, and other creatures in the Great Plains, and the human community trying to eke its life out on this unforgiving land. “Was the increase in bird life on the ranch a partial result of a different, evolutionarily more compatible kind of grazing? Did the buffalo’s way of moving quickly from one part of the pasture to another affect the grass more positively than the wandering of domestic livestock? Was the entire matrix of the ranch’s ecosystem improved by the simple conversion back to large herbivores that had evolved to live here? In my heart I was coming to believe that the answer to all these questions was yes. I wanted to shout it to the skies, but I had learned long before that when profound questions are asked of the heart, the answers are best kept to yourself” (p. 168). Look for reviews in the coming days of a book on evangelical universalism (is this an oxymoron? ), a historical fiction piece on the battle of Agincourt, the sequel to Buffalo for the Broken Heart. I’ll also be wading into some essays on the works of C.S. Lewis, and the Zaleskis’ The Inklings. With his passing, an Oliver Sacks book just found its way to the top of my TBR pile as well. With cooler days approaching, I hope you’ll find some good books to curl up with along with a warm drink! Deep Mentoring, Randy D. Reese and Robert Loane. Downers Grove, InterVarsity Press, 2012. 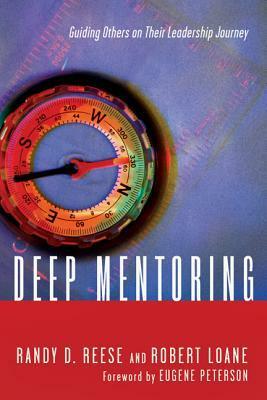 Summary: Deep Mentoring proposes that the development of Christian leaders of integrity is a lifelong, God-driven process that mentors play a crucial part in through attentiveness and focus on the spiritual and character formation of rising leaders. We usually become aware of our need for leaders of spiritual depth, character and skill when we don’t have them. And far too often, our response is the crash, leadership course and filling positions with warm, and maybe willing, bodies–only for the whole thing to end in many cases with disappointment. Reese and Loane contend that spiritual leaders of character and skill are developed over time through the deep work of discipleship and the attentive guidance of mentors. The book is broken into three parts. The first begins with “noticing God’s already present action.” Informed throughout by the leadership development work of J. Robert Clinton, they believe God calls leaders but that critical in the work are attentive mentors willing to engage in the slow, deep work of leadership development eschewing superficial, one-size-fits all, ends over means, hurry-up approaches. And what do mentors pay attention to but the stories of persons recognizing the three critical formations of character, skill, and strategy that are worked out in the course of our lives. Foundation. In leadership development, consideration needs to be given to how God has been shaping a person from their earliest years and also the “family of origin” influences that shape us for good and for ill. Preparation. This ten to twenty-five year period is focused around growth in holiness while discerning and cultivating one’s gifts and the skills necessary to effective leadership. Contribution. If one has prepared well, this is the season in which character, gifts, and skill come together in service that has spiritual authority. It is the season of one’s maximum impact. Multiplication. In this final phase, the focus shifts from one’s own leadership to developing the leadership of others while continuing to grow spiritually. Part three goes further with this last phase, which in some sense is involved in helping with the development of others through the four phases. It looks at how Jesus came alongside others in a way that was deepening, particularizing, hospitable and patient and then in the succeeding chapter how mentors might do the same. Shape the person and you stand a much greater chance of shaping everything else. Discipleship and Christian leadership development are inextricably linked and together make a slow and deep work. Igniting a grassroots way toward renewal is possible. It doesn’t have to be top-down. A Christian approach to leadership formation requires a ministry of paying attention. Conditions can be cultivated in order for local communities to become significant places of learning and growth. The book concludes with several appendices. “Lessons from those who come before us” is worth the price of admission as they discuss both why leaders finish badly and well. Three other appendices include one on lifelong perspective in developing leaders, observations from Clinton’s leadership emergence studies, and five practices to sustain long haul leadership. I appreciated the book’s character-driven, developmental perspective and the practical counsel throughout for those mentoring or being mentored. Working in collegiate ministry where one often thinks of the academic year or the four to six years students are with us, the slow and deep perspective can be challenging. Two things seem of importance. One is to never neglect the dimension of investing deeply in people simply to get things done. In our work, we need to think how leadership activities not only accomplish goals but develop people, and make sure they do. Second is to realize that the most important things we do is lay down the preparation for a lifetime of leadership, and a contribution phase still to come. This is a good book for anyone thinking about leadership development, but is far more than the typical leadership book in thinking of how leaders are formed and of the depth of attention required of those who engage in this work. It would be an understatement to say that there is a super-abundance of leadership books in both Christian and general publishing. One wonders if it reflects a perception that there is a dearth of the real thing in our churches and culture, or that if it exists, it is often done very badly. So the question is, what separates Steve Saccone’s book (co-authored with his wife Cheri Saccone) from all the rest? Very briefly, it is that it is more description, than prescription, of the work Saccone has done in developing leadership through his Protege’ Program, a two year leadership development program. This book is an attempt, without being a program manual, to distill the basic contours of his work. 1. Character. What is most striking here is that Saccone identifies four deadly sins that can bring down emerging leaders: envy expressed in imitating others rather than embracing one’s own unique call, self-reliance that emphasizes performance over a life of prayer producing fruit from the inside out, foolishness expressed in over-confidence rather than the seeking of wisdom, and greed which reveals itself in a spirit of entitlement. It is good that Saccone begins here, I think. I’ve seen few leaders really fail for lack of skill. For most, it comes down to questions of character. 2. Relationships. Here Saccone focuses on three tensions in relational leadership: overcommitment versus underdelivering on commitments, avoiding or evoking conflict, and overattaching versus detaching. There was much that was helpful here concerning learning to say no versus letting your yes be yes. His diagnostics for each of these tensions are very helpful to see where one falls. 3. Communication. This was a section that had some intriguing ideas of learning through everything from TED talks to poetry slams about effective communication in 21st century culture. He describes Learning Labs where he challenges people to give five minute talks (Five Good Minutes) and to practice improvisation. 4. Mission. To start, he sees mission not as something we do but something that flows from our relationship with Christ expressed through the uniqueness of each person in the context of local communities of believers in mission. He calls for several shifts in evangelism: 1) From inattentiveness to attentiveness, 2) From monologue to dialogue, 3) From invasion to invitation, 4) From individual conversion to communal conversion, and 5) From temporal understanding to eternal awakening. These last two call for a bit more explanation. Communal conversion is not whole communities coming to faith but the recognition that the community in which one comes to faith crucially shapes one’s life. Eternal awakenings happen when converts connect their lives to the big eternal questions addressed by the gospel–how the gospel lastingly changes everything. 5. Entrepreneurial leadership. His last section focuses on the quality of risk-taking and developing cultures where there is a freedom to fail, where the ultimate value isn’t control and where they develop new structures to unleash the gifts and creativity of those they lead. Throughout, Saccone provides numerous examples and personal stories of how he works these ideas out in practice. At the conclusion of each chapter are ideas for mentors, and a mentor tip (not always directly related to the chapter content). The only thing I might make more explicit in this book is that a crucial work of mentors is to help proteges become protege’ developers themselves. Young leaders need to be coached to reflect on their own developmental process and to learn from it how they might in turn develop the next generation of proteges. 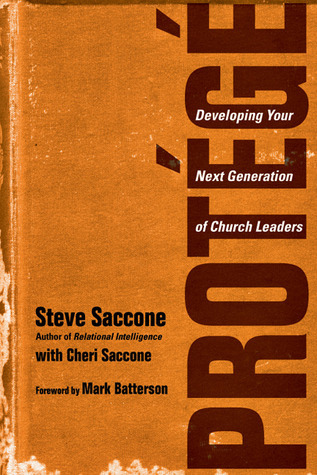 What Saccone has given us is a kingdom-oriented, character shaped, and missionally driven account of leadership development that offers, not a program, but a vision for the essential elements of any serious effort at protege’ development. This is one of the books that higher ed professionals have mentioned to me over and over again with regard to the interest in “spirituality” among college students. So, when a friend offered to lend me a copy, I accepted. For me, there were two significant areas of “takeaway” from this book. The first was Parks exploration of the developmental stage of “emerging adulthood.” I think many of us assume adolescents just move from adolescence to adulthood and we don’t adequately understand this period in between. Even more, we don’t consider how this developmental stage relates to faith development. We often just worry about keeping people in the faith, rather than understand the changes in thinking processes and perception of the world that are occurring and how these must be constructively engaged. Parks proposes that we go through changes in knowing, in forms of dependence, and in forms of community. In knowing, we move from authority based knowing to sometimes unqualified relativism to probing commitments to tested commitments to convictional commitments. In forms of dependence, we move from dependent or counterdependent, to fragile inner dependence to confident inner dependence to interdependence. In forms of community we move from conventional to diffuse to mentoring community to self-selected groups to an openness to the other. A challenge for many religious communities is that they often don’t move beyond the first or adolescent/conventional form in each of these categories. And if our emerging adults do, no wonder we lose them! The second takeaway was the critical importance of mentoring relationships in this meaning-making process of wrestling with big questions and worthy dreams. 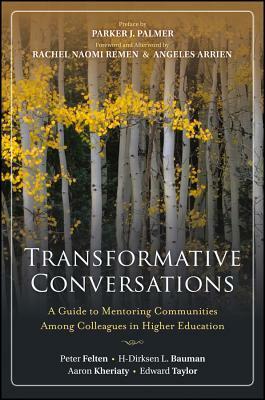 Parks explores not only individual mentorship but also how the higher ed process can be a mentoring process and how mentoring occurs in culture and in whole mentoring communities. Some wouldn’t find this a problem but the book tends to be more descriptive in broad terms than prescriptive in terms of the specifics that higher ed professionals and spiritual mentors can implement in their work. The second is that it seemed to me that the book proposes more of a “designer faith” that individuals craft with the help of supportive mentors rather than a deepening embrace of one of the established religious traditions. While not disparaging of any tradition, the majority of the models in the books are of emerging adults who are “spiritual but not religious”. This is an increasingly popular “option” but one wonders whether this has the power to sustain worthy dreams over a lifetime. At the same time, the book does provide a needed challenge for all religious leaders working with emerging adults: will you minister and mentor in a way that recognizes the developmental process occurring in the lives of these young men and women? That may be the biggest question of all for these leaders. The world of higher education can often be more de-formative than formative, given the pressures, politics, and financial pressures. The technologizing of higher education raises further questions of relating to large virtual networks of students and colleagues and having very few experiences of real collegiality with flesh and blood colleagues. The four authors of this book believe they have found a way to change that. Their journey began with a Fetzer Institute program and a mentoring experience with Rachel Naomi Remen and Angeles Arrien who have worked with formational communities in other contexts. They then set out to form “formational mentoring communities” at each of their institutions. So what is a formational mentoring community? Most basically, it is a safe place for mutual conversation among peers about the important questions of meaning, calling and values and how each other are living these out. For these communities to work, they need to be characterized by hospitality, safety, courage, honesty, trust, diversity, humility, accountability and friendship. The authors go on to describe the practical questions of how to form the groups–place, frequency, how to invite people, size of the group and so forth. And in a chapter on collaborative stewardship, they go on to describe practicalities of facilitating such groups. Most compelling to me in this book is the power these authors find in real relationships with four to eight as opposed to the formalized or virtual myriads of relationships. They really did find the conversations transformative as they regained or found a deep sense of meaning and connection with call in their lives. They also found this transforming relationships with students, such as when the faculty in one group at Gallaudet (a college for the hearing impaired) took the coverings off the windows in their offices so that students could SEE when they were in. An important caveat these authors affirm is that these groups cannot be institutionalized but must be informal and voluntary. This cannot become a “program” for humanizing the university, but rather a contagious process. The authors idealism about the possibility of significant institutional change coming through the proliferation of these groups surprises me. But the narrative of the impact of these groups and the practical resources for beginning such groups will certainly encourage others to attempt such groups whether or not these have widespread impact. The chance to recover a sense of call, meaning and value to ones work would seem to be incentive enough.